From left to right, UC LEADS scholars Jessica Lopez and Tamunotubo George, with Briana Muñoz-Flores, assistant director of outreach in UCSB Graduate Division. The youngest of three siblings, Jessica Lopez was the first of the trio to move out and the first to go to college. And before she’d even begun her undergraduate years, she already had her eyes on a bigger prize: graduate school. Now in her fourth year at UC Merced, Lopez is a scholar with UC LEADS (University of California Leadership Excellence through Advanced Degrees), which readies promising students for advanced education the STEM disciplines. The two-year program expressly targets upper-division undergraduates who show potential but are somehow disadvantaged, whether by economics or lack of access to education. And it all culminates in a summer research experience on another UC campus. Lopez spent her summer working in an organic chemistry lab at UC Santa Barbara. Lopez was among 11 UC LEADS scholars from across the UC system, two CSU Sally Casanova Scholars and one Academic Research Consortium scholar conducting mentored research alongside UCSB graduate students and faculty from diverse disciplines, courtesy of robust, annual summer outreach efforts of the UCSB Graduate Division. It’s all about creating opportunities for promising students who need extra support. It’s also about recruitment. By showing these visiting undergraduate scholars what UCSB has to offer, maybe they’ll think of Santa Barbara when it comes time to apply for grad school. 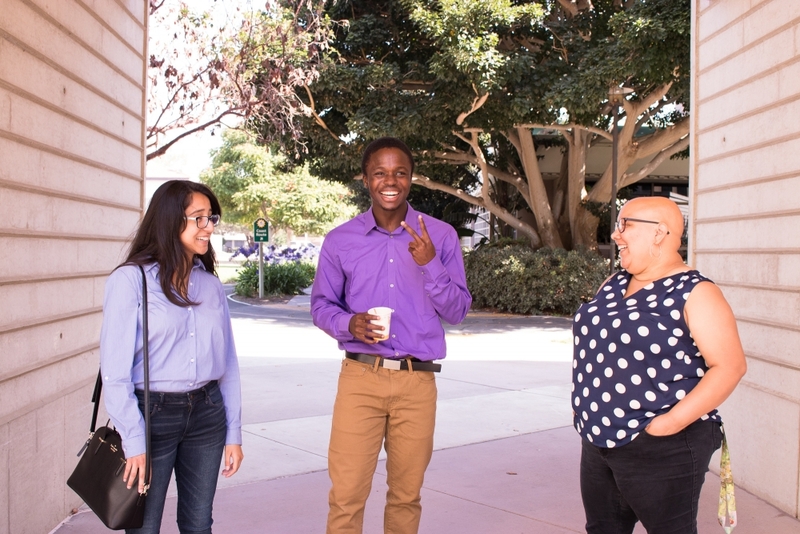 “These programs are important because UC Santa Barbara provides mentored research experiences in all disciplines to these talented scholars who not only have the potential to succeed in graduate study, but who also have experienced situations or conditions that have adversely impacted their advancement in their field of study,” said Walter Boggan, director of admissions, outreach and diversity initiatives in UCSB’s Graduate Division. If their summer-ending research presentations are any indication, they’d make an impressive group of applicants. From genome editing, to paleoethnobotany, to microbial ecosystems; from “Space in the Poetry of Claribel Alegría and Sandra Cisneros” to “The Effects of Familial Support on Rejection Sensitivity and Belonging in Ethnic Minority First Generation Students,” their projects were as high-level in execution as they were diverse in focus. 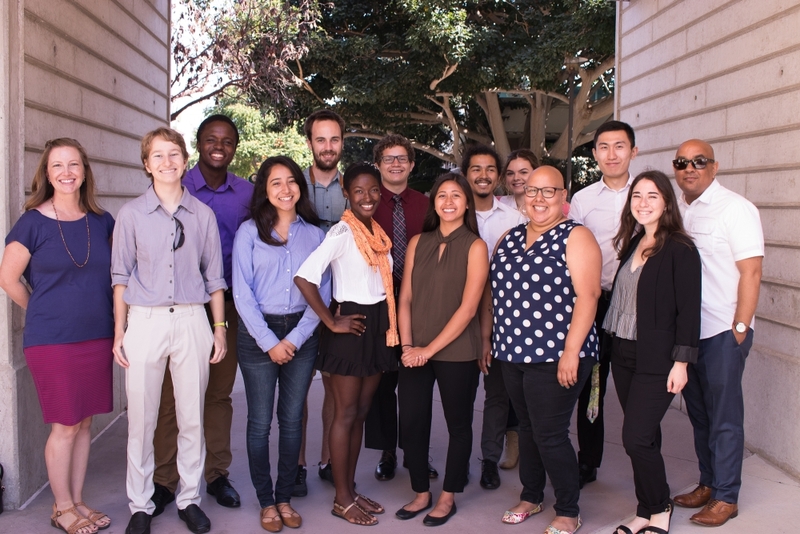 “The second summer spent at a UC campus other than their home campus is incredibly important, and one of the program components that sets UC LEADS apart from other graduate preparatory programs,” said the program’s statewide director, Michele Johnson, who also is assistant director for diversity initiatives in UCSB’s Graduate Division and a UCSB alumna. “It gives students the opportunity to engage in a variety of research and make connections with programs and mentors who can advocate for them during the admissions process — either through letters of recommendation or in the admissions process.